Baking with quality kitchen bakeware is a fine tradition, an excellent start to any home-baked cake is to use good quality baking equipment. As the aroma of baked food wafts slowly out the oven door, memories are created and taste buds are fuelled in preparation for another delicious feast. ShopCookware.ie relishes the thought of supplying customers with a piece of kitchenware that can not only bring food to the table, but a quality cooking experience to the home as well. Read below and discover a range of bakeware that will bring a new class of cooking to your kitchen. Prestige Inspire Bakeware uses their innovative Cushion Smart technology - a non-stick cushioned interior which provides better browning and easier release. 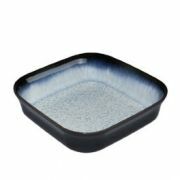 The Inspire Bakeware range is made from heavy guage carbon steel for exceptional heat conduction. Stick this in the oven (260 degrees maximum) and enjoy baking the way it was meant to be. Stellar cookware produces a range of stainless steel and high grade steel that looks great and performs well, due to its inclusion of non-stick materials. 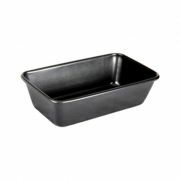 Baking sheets, muffin tins, cake tins and deep pie dishes are among the many handy baking products we sell at ShopCookware. Never mix more or bake more than needed. All ingredients must be pre-measured beforehand. Use metal cups for dry ingredients, and glass cups for liquid. Flour must be measured according to the recipe. 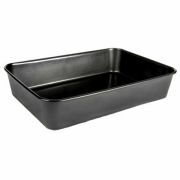 Always use high-quality baking pans, not cheap tins which will stick to your food. All ingredients should be of the highest quality and as fresh as humanly possible. Stick with ShopCookware and let us show you how great bakeware can be. We also stock other brands of bakeware and cake tins from manufacturers such as Eddingtons and Top professionals manufacturers such as Chicago Metallic, Stellar and Judge. Please fully peruse the categories and you are sure to find the perfect tin or bakeware to suit both your need and budget.